Health & Safety is a major part of the role of the Facilities Manager and managing the Health & Safety of the site is key to the effective running of the department. Health & Safety is governed by a whole raft of legislation but one of the key ways the Facilities Manager supports the core business is by ensuring that the organisation remains compliant with that legislation. In order to run an effective FM department the FM must have a budget to work with. The FM needs to be able to balance the budget so that it does not incur an adverse variance – actual spend being more than receipts in. Managing the budget can be a time consuming and difficult job and often the FM will work closely with the Finance department to keep the budget on track. Depending on the type of organisation you work for, the budget will need to cover a wide variety of aspects. At some point it is likely that the FM department will be involved in carrying out a project, either large or small. Projects are usually defined as one off occurrences – not part of the day to day job. Examples of projects might be office relocations and office refurbishments. The project has to be planned, carried out and then evaluated at the end to enable the facilities department to learn lessons for the future. This all requires careful management to ensure that the project runs to time, provides what the client actually wants and most importantly, remain within budget. This often falls upon the Facilities Manager to manage. It is common for many FM services to be outsourced to contractors and as such, contracts to deliver the service or goods will be put in place. These contracts need careful management to ensure that what has been procured is actually provided. Contractors often need careful handling as their agenda may be different to that of the FM department. 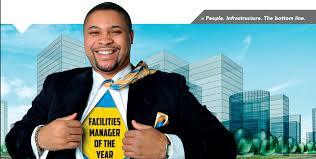 Finally, the Facilities Manager must be able to manage the relationship with the customer. The old saying – ‘the Customer is King’ – is as true today as it was years ago. If the customer is not satisfied with the service being provided then the problems will fall back on to the Facilities Management department. Frequently, the customer demands a gold plated service but the client, who pays the bill, will only pay for a bronze service and the poor FM is left trying to explain why the service does not meet expectations! Good communication, getting feedback from the customer and, importantly, acting upon it when appropriate as well as ensuring that the customer, and the client, is kept in the picture at all times is the key to good customer relationship management.